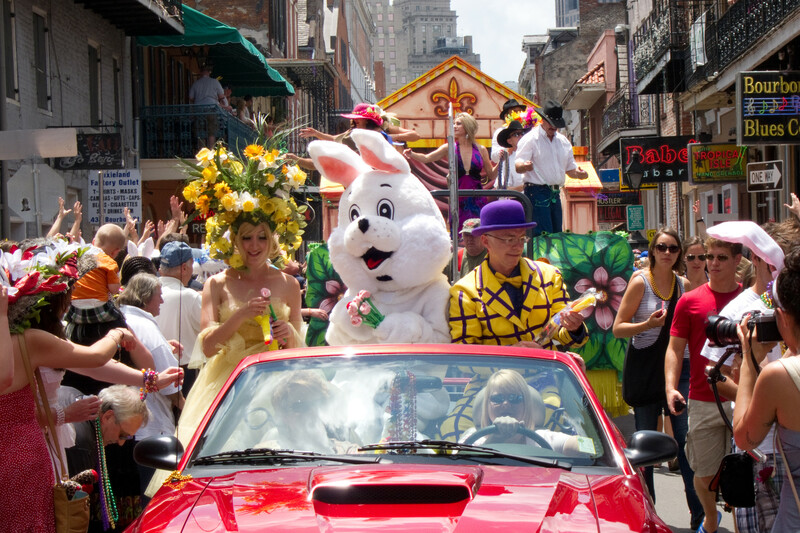 In New Orleans, Easter Weekend is just as fabulous as we are. 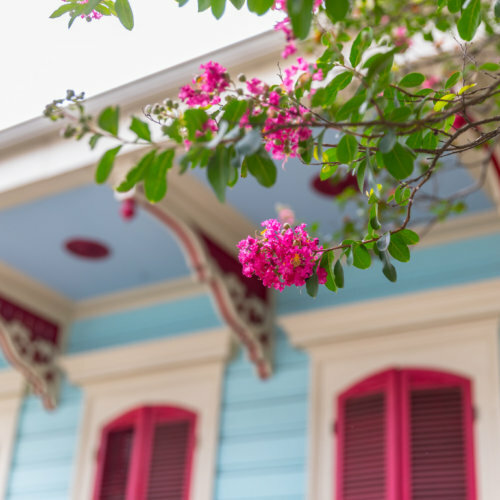 Easter Weekend in New Orleans is like stepping into a wonderland. The weather is perfect. There are gorgeous men in perfectly tailored seersucker suits stepping out in style. Bright colors abound, the city smells of sweet olive, wild rose, and yellow jasmine. Not to mention what’s happening inside the city: a cornucopia of parades, brunches, drag shows, music, and more with some of the most fun people you will ever meet. Experience food, an open wine, beer and vodka bar, a great auction, lots of entertainment – and of course, the fabulous Bunny Boys at the Bunnies in the Big Easy at the Sheraton New Orleans. Tickets are $40 but the memories and the eye candy are priceless. 7-9:30 p.m.
From incredible Bloody Marys to mimosas and food that will leave you wishing you’d worn your comfy pants, The Country Club Drag Brunch is something you can’t miss. Remember to book a reservation early because tables fill up as fast as the tasty beverages their bartenders pour. 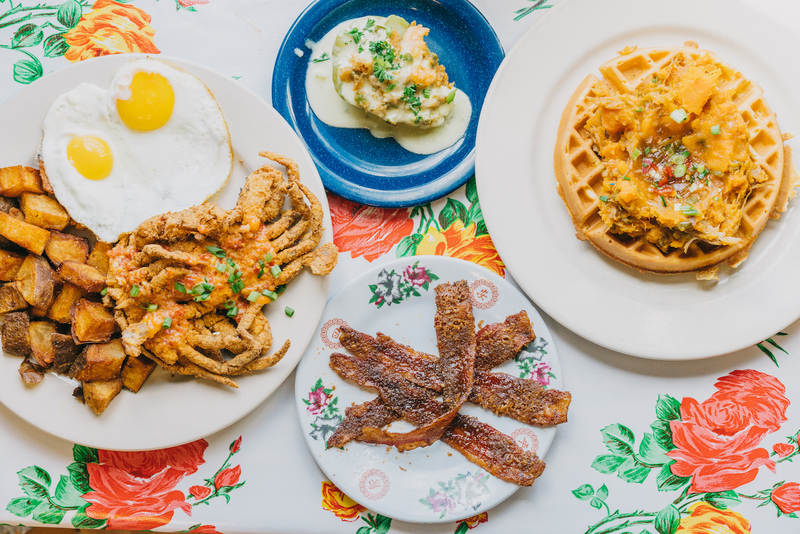 For some other great brunch destinations, see our recommendations below. Back in the early 80s, Chris Owens, renowned French Quarter singer and all around femme fatale, started the French Quarter Easter Parade. Since then, this parade has taken off. Starting on the corner of Canal and Bourbon streets, the parade makes its way through the French Quarter past the Chris Owens Club at 500 Bourbon. You’ll see fantastic floats and incredible costumes, not to mention some of the city’s most famous bands and dance troupes. 1-3 p.m. Hop on over to the gayest parade ever. 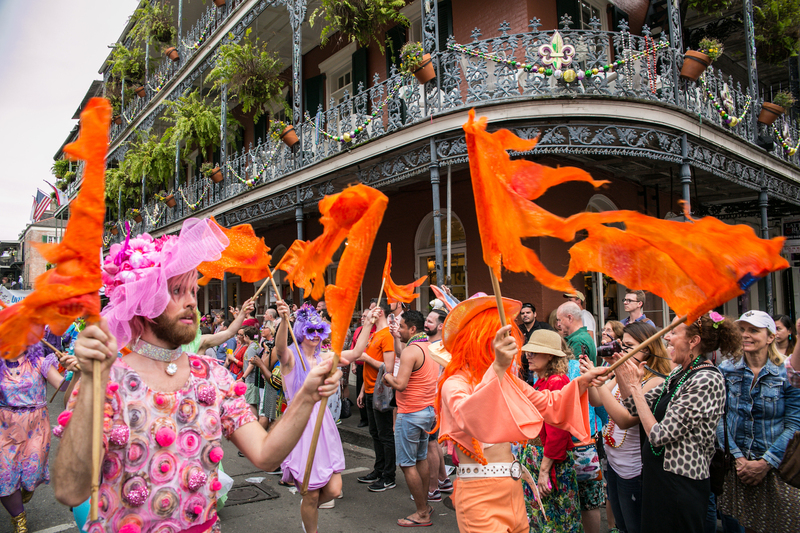 The Gay Easter Parade takes a slow stroll through the French Quarter passing every gay bar and many gay-owned restaurants and shops along the way. There are carriages, convertibles, walking groups, amazing costumes, and plenty of drag! 4:30-6:30 p.m. Put on your prettiest Easter hat. Every year, Good Friends, a neighborhood bar on the corner of Dauphine and St. Ann streets, puts on an Easter Bonnet Contest that anyone can join in. So grab a hat, a hot glue gun, and some glittery bling and create a hat that could win you some fun swag. And don’t be shy about your creation — some of the hats can be pretty over-the-top. The crowd votes for the winners, and don’t be surprised if you happen to hear an impromptu rendition of Irving Berlin’s classic song, “Easter Parade.” 6-7 p.m.
Now, if you’re like all of us here at GoNOLA, brunch is a way of life – especially on Easter. So for those of you visiting, check out these delicious places to get your grub on. Tip: Call ahead or make a reservation. You don’t want it to be Mother’s Day before you get seated. 1. Horn’s has a great bunch. 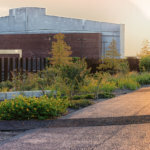 Not to mention, it’s in the Bywater and within walking distance of a lot of cool places to get your stroll on. 2. If you love cupcakes, bagels, and eggs every which way, you have to go to Cake Cafe. Whenever friends come to visit, we always try to make a special trip here. 3. Atchafalaya is located in Uptown off Louisiana Avenue in an orange house you can’t miss. Their Bloody Marys alone are enough to make us want to beeline it over to this brunch spot. 4. Looking for a more relaxed environment with good food that will leave you nice and full, check out the Ruby Slipper. 5. Elizabeth’s is a great casual brunch spot located in the Bywater. Try an item from either their sweet or savory menu, or one from both!